I was so excited to be at the grand opening of HomeGoods in Victor, NY today. The store was so jam packed with people that there were no carts available and if you had one it was very difficult to maneuver around in the aisles. 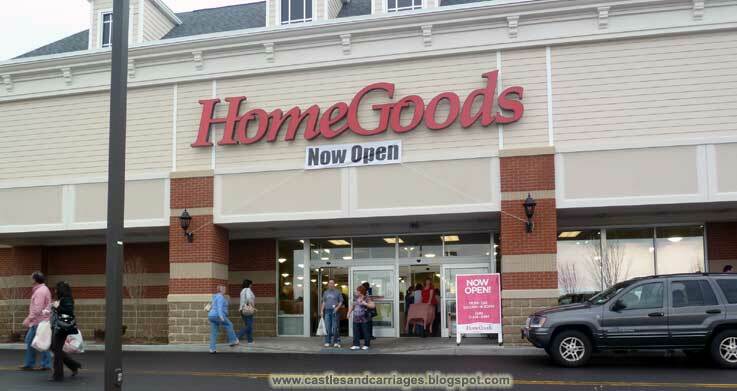 If you don't happen to have a HomeGoods near you, the store is kind of like a TJ Maxx or Marshalls with a focus on home decor. Naturally because I like to bake and create tablescapes, I gravitated towards the selection with plates, teapots and cake stands. The summer selection is out with lots of starfish, blues and greens. Many of the plates are made in Italy. I instantly fell in love with Gracie China Rosalie collection (bottom right picture). 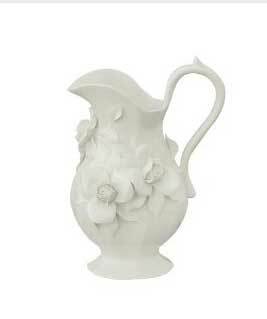 The porcelain collection has a very vintage shabby chic look to it. Wish we had one of those stores near us. We do have a Marshalls, and Ross, but not a T.J. Max. oooh, looks like fun. i've actually never been there. is it like menards? Melissa, I've never actually been to a Menards before. It is so much fun though!